Remember all that “Click a mouse and lose your house” jibberjabber and the related portrayals of young children, as served up Sheldon Adelson and his Coalition to Stop Internet Gambling (CSIG) crowd, easily obtaining access to online gambling sites and using their parents’ credit cards to gamble away various-sized fortunes? Despite the fact that in the several years of formally legalized and regulated online gambling in the US, there’s been exactly one instance of verified underage gambling, the attacks against the regulated online gambling industry exist. The real demons in the story haven’t been on the “gambling” side, but over in the “gaming” sector, where such developments as the growth of “loot boxes” within online games has triggered a certain level of outrage around the globe. And now, in a long-running class action case against social-networking giant Facebook, new details have emerged that show the depth of intentionally shoddy business and marketing practices Facebook has implemented in order to generate tens of millions of dollars in revenue from children using their parents’ plastic under false pretenses and undisclosed terms. Reading into the case in detail makes one sick with disgust at Facebook, not that there’s any shortage of things that one can find despicable about the site and company. Yet this case is special. Titled as Bohannon et al v. Facebook, Inc., it was filed in April of 2012 and settled in 2016, though Facebook valiantly fought and ultimately succeeded in keeping many of the case’s exhibits under seal. That changed earlier this month, when presiding US District Judge Beth Labson Freeman ordered a partial unsealing of many of the case’s exhibits, in the public’s interest. This came under a motion for unsealing from the Center for Investigative Reporting and its “Reveal” online service, and on January 24, Reveal published its first top-line feature on the 150 pages of exhibits ordered to be published by Judge Freeman. That Reveal piece includes links to three of the unsealed exhibits, including a series of internal memos that shows how Facebook engineers came up with solutions to what they described as “friendly fraud” (meaning profiteering from having underage FB game players use their parents’ cards in improperly disclosed ways), only to have higher-ups reject the solution because it would actually reduce the revenue obtained via the kids, even though that revenue was fraudulent and illegal. Still, that piece somehow still doesn’t capture the magnitude of Facebook’s evil behavior. Effective June 19, 2012, Facebook deleted the statement that “All sales are final” but nevertheless stated: “Except as otherwise stated, purchases of credits are non-refundable to the full extent permitted by law.” Facebook has to this date not otherwise stated, nor has it notified users, that sales to minors are void or voidable under the governing law of California. Moreover, Facebook has not at any time secured express, informed consent from parents, guardians or other owners of payment vehicles to support purchases by minor users of Facebook. In October 2011, Plaintiff I.B., a minor, asked his mother Glynnis Bohannon for permission to spend $20 on his Facebook account to purchase Facebook Credits to use in a game called Ninja Saga. I.B. gave his mother $20, and used her Wells Fargo MasterCard to purchase Facebook Credits. I.B. claims he was unaware that Facebook would store this credit card information, and thereafter continued to make in-game purchases in Ninja Saga. I.B. believed these purchases were being made with virtual currency, and that his mother’s credit card was not being charged for these purchases. Glynnis Bohannon’s card was ultimately charged several hundred dollars. Ms. Bohannon sought a refund from Facebook, but was not provided one until after this action was filed. (“Since being served with the initial complaint in this action, Facebook has apparently provided a ‘courtesy’ refund to Ms. Bohannon.”). I.B. is a resident of Arizona. Facebook Credits were developed by Facebook as a virtual currency payment system. A user who wanted to make a purchase within Facebook would buy Facebook Credits, which could then be redeemed for various items or applications on Facebook. In 2013, Facebook Credits were discontinued and replaced with a system called Facebook Payments. In December 2011, Plaintiff J.W., a minor, took his parents’ debit card without their permission and began to make a series of charges on Facebook through the use of Facebook Credits. These charges totaled over $1,000. Unlike I.B., J.W. did not have his parents’ initial permission to make charges on Facebook. Upon learning of J.W.’s actions, his father, Steven Wright, contacted Facebook to dispute the charges and request a refund. In this interaction with Facebook, Mr. Wright stated that neither he nor his wife had authorized the use of their debit card. Facebook provided Mr. Wright with a partial refund of $59.90, despite a Facebook representative telling him that he had “refunded the charges to your funding instrument.” At the time the [Third Amended Complaint] was filed, the Wrights had not been refunded the remaining $999.30 spent by J.W. without their permission. J.W. is a resident of California. Both Plaintiffs contend that Facebook misinforms its users, including minors, that “all sales are final.” See also Parker Decl. Exh. B. at 1 (stating under “Payment Terms,” revised on June 3, 2009, that “[p]urchases of credits are nonrefundable”); (testimony by [Facebook employee] Bill Richardson stating that, as of 2012, Facebook’s refund policies for individuals between 13 and 17 were the same as its policies for adults, but that policies for minors under 13 were different). 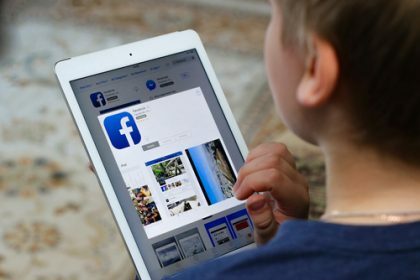 Plaintiffs contend that under its policies, Facebook “routinely refuses requests by children and their parents and legal guardians to provide refunds for transactions that are subject to disaffirmance under California law.” Plaintiffs seek declaratory relief, requesting a determination by the Court that purchases made by minors through their Facebook accounts are void or voidable. Plaintiffs also seek individualized restitution. Just think what would happen if any online-gambling firm in a legitimately-regulated jurisdiction was found to have acted in this manner. Just sayin’. The amounts in play were indeed significant. In response to discovery, and covering the period from February 23, 2008 to June 25, 2014, Facebook generated over $34 million from 14 million mostly microtransactions from underage gamers. How much FB has generated since mid-2014 from this demographic isn’t available from this case’s documents, but it has to be every bit as substantial. Indeed, when responding to inquiries regarding purchases made past 60 days, Facebook systematically tells its users that it is unable to issue refunds, although in fact internal Facebook discussions reveal that the company is able to refund transactions made as much as one year earlier. See Ex. LL (reporting that it would be possible to issue manual refunds as of November 1, 2011, for purchases made between September 2010 and September 2011.) Furthermore, Facebook staff confirm that the company’s credit card processor is able to post a “stand-alone” credit to a customer’s account at any time. Because money is fungible, Facebook could always issue a refund by check or in other mutually-agreed method. Instead, Facebook claims to be “unable” to provide such refunds, falsely suggesting that such refunds are either technically impossible or genuinely prohibited by some outside authority or law. Had enough disgust yet? The case’s discovery, now exposed, also showed that the highest attempted chargeback rates came with games aimed at Facebook’s very youngest players, those with the least ability to comprehend that those “click to add coins” links were actually still tied to Mom’s or Dad’s very real credit card. Facebook was forced to admit that those highest chargeback rates came from games such as Angry Birds, Wild Ones, Barn Buddy, Petville, and “any Ninja title”. The highest rates of all, at about nine percent, came from Angry Birds, which is a huge hit with players under 10 all the way down to preschool age. Note that a one percent chargeback rate is a red flag and considered an industry standard for signs of fraud. Think of the pressure Facebook must have applied to its payment processors in order to keep the Angry Birds revenue spigot open. Facebook is aware of several reasons why minors often make purchases without permission from parent or guardian. Ms. Stewart admitted in an email that refunds are often requested because “a parent permits his child to spend at a small denomination and doesn’t realize that the credit card information will be stored.” Ms. Stewart noted that a purchase made with Facebook Credits “doesn’t necessarily look like real money to a minor.” In fact, when the developer Rovio reached out to Facebook regarding “an alarmingly high refund rate” for the game Angry Birds, Facebook analyzed the profile of users who were issued refunds. Facebook’s analysis demonstrated that the average age of the child playing was only five years old and that “in nearly all cases the parents knew their child was playing Angry Birds, but didn’t think the child would be allowed to buy anything without their password or authorization first. (Like in iOS)” A Facebook survey of users elicited complaints such as “she is only 7 years old, she did not know that she really paid (real [money],” and “Do not store our credit card info. My child was able to click one button and make the purchase”. Think it couldn’t get any worse? Here’s the frosting: Facebook set the default on these in-game purchase pop-ups to the most expensive option. It’s all just sickening. Mark Zuckerburg and company are already in plenty of hot water in the US and around the globe for their blatant theft and reselling of user data without proper authorization or permission, and then there’s the whole for-profit amplification of FB of various “fake news” streams connected with the last major US election cycle. Facebook’s unceasing, toxic move to monetize… well… everything… has long since spiraled out of control. This is one company that needs a course correction and a multi-billion-dollar legal kneecapping, just to begin to set things right.